The contemporary chrome Basin mixer with pop-up waste, part of the L20 collection of brassware from Roca. Modern and intuitive lines make it a perfect fit for any bathroom space. Has a EverShine electrolytic coating which guarantees a long-lasting, dazzling finish and also repels stains and scratches, making cleaning easier. 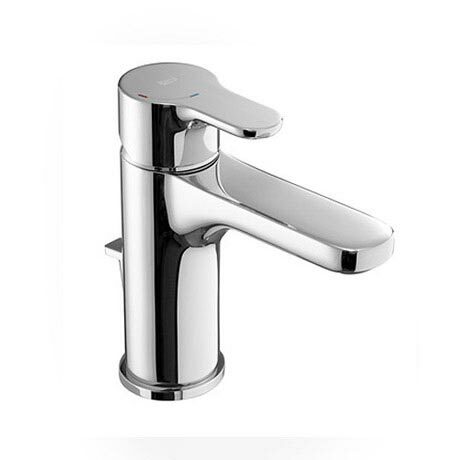 Uses Soft Turn technology, for accurate control over water flow and temperature. Designed to turn on frontally with cold water which helps with energy consumption.